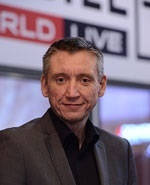 AOL approaches “all content and technology problems and solutions with mobile in mind”, Graham Moysey, the company’s head of international business, told Mobile World Live. “We still have 220 million global uniques. The fact that 50 per cent of those are mobile today and probably 20 per cent of them were mobile 18 months ago is telltale in terms of how people are digesting that content,” he said. The company has a two-fronted approach to its business, delivering content in order to build a user base, and offering advertising services for agencies and direct customers looking to connect with those consumers. “We think at the fore about content, aggregation of audience, and making sure that it’s multi-screen. And so we are endeavouring to ensure that that content is digestible, it’s relevant, it’s easy, and it’s working,” Moysey said. “From the client perspective, it’s really about making it a seamless experience to track the user across screens. And we’re seeing that 50 per cent of our revenue is coming from multi-screen campaigns, that’s pretty remarkable,” he continued. The ever evolving media landcape means that companies such as AOL are constantly having to adapt in order to stay relevant. “We’re in what I call a perpetual beta – it’s a constant state of change,” the executive noted.